Observed at Eldoret, Kenya, Africa. October 2010. Elevation 2000 meters. It was alighted beneath an electric light. With no visible ovipositor this specimen is likely a male. 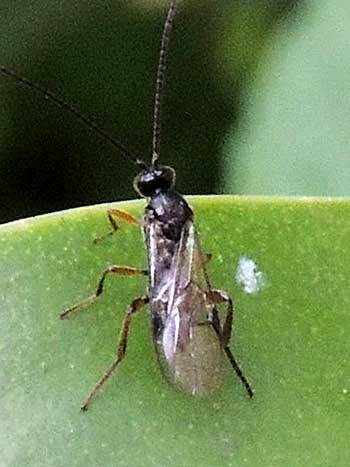 Braconid and other parasitic wasps are severely under appreciated by the general public. Firstly they often go unnoticed because they are often quite small - the ones shown here are larger than most kinds at almost 7 mm. And since they do not sting like many larger species of wasps they are not felt. However, these insects are vital to a farmer's success because they serve to keep many crop-feeding insects in check. 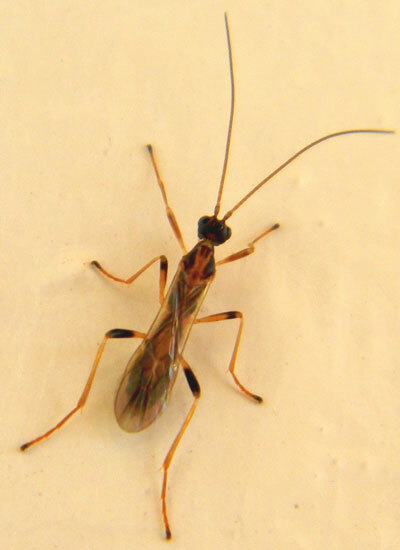 Female braconids are able to insert minute eggs into a host insect that eventually kills the insect as it matures into a new wasp. In natural environments they are key components of what is commonly called the "balance of nature". Observed at Kakamega Forest, Kenya, Africa. October 2016.